HI-VAC Air Conditioning Service is the area’s most trusted and reputable company with more than sixty years of experience and expertise in the HVAC industry. 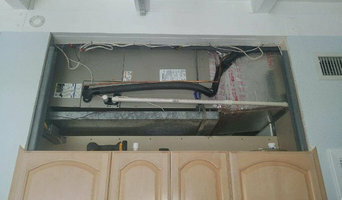 We are a state licensed and insured contractor that performs heating, ventilation, and air conditioning installation, maintenance and service in the South Florida area, including Weston, Pembroke Pines, Miami, Miramar, Cooper City, Davie, Plantation, Sunrise, Coral Springs, Parkland and all of Broward, Dade, and Palm Beach counties. We are registered with the Better Business Bureau and are members of Air Conditioning Contractors of America (ACCA), which is the largest association of heating, air conditioning and ventilation contractors in the country and worldwide. We have also been presented with several “Distinguished Dealer Awards” from the Trane Company and are “Trane Comfort Specialists”, which means that we meet the highest Trane standards for customer satisfaction and continuing technical education. Our team of factory trained and radio dispatched service and installation technicians is available to serve you 24 hours a day, 7 days a week so you can always be assured of the timely completion of your service calls and installations. In fact, our service call response time is unbeatable in the industry! During our regular business hours, Monday through Friday from 8:00 a.m. until 5:00 p.m., you can always call and speak to Peter Blanco, our owner and company President, who can sometimes solve your problem over the phone for FREE! We are grateful for this opportunity to introduce you to our company and look forward to your future business. Please feel free to call us with any questions or concerns that you may have. We are always eager to serve our customers in any way that we can! When our company was founded in 2008, we aimed to change the way people in South Florida think about HVAC contractors. Since then, we have committed ourselves to providing customers with cleaner, colder, more comfortable air. In order to accomplish this mission, we take a whole-home approach. Rather than focusing on mechanical equipment alone, we consider the entire building structure and indoor air environment. This allows us to better identify underlying issues that can have significant impacts on the performance and efficiency of your HVAC system. 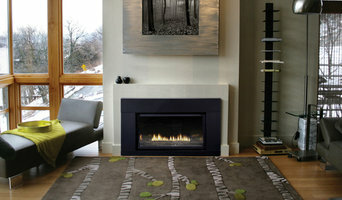 It also helps ensure the system’s ability to safely deliver reliable, efficient home comfort. We are a family owned & operated business that prides itself on top quality workmanship. By only using the best materials and giving each customer the attention that they each deserve we have built a loyal customer base. As a family owned & operated business, it’s our mission to provide quality air conditioner repair service and remain a trusted part of the Kendall community. With dedication to our customers we have lived by our commitment to quality air conditioner services. Since 1976, Sansone Corporation has been providing complete air conditioning, plumbing, electrical, and major appliance services to homes and businesses in Broward, Palm Beach county, Martin county, and St. Lucie county. We have been doing it as the Sansone family, with our family's name and reputation on the line with every job. Our working philosophy has been simply to provide the best products and service. The Sansone Corporation will continue its steady growth, achieved through integrity and by providing superior service from our family to yours. The company serves all of Broward, Palm Beach, Martin, and St. Lucie counties from its modern 27,000 square foot centrally located office and warehouse facilities in Deerfield Beach and our 40,000 square foot building in St. Lucie. Sansone Corporation utilizes up to date modern computer systems for scheduling, estimating, design, planning, and accounting to ensure a higher level of accuracy for its customers. 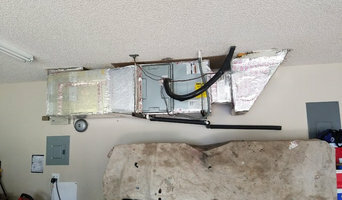 I am Gian Franco Cano, HVAC technician and duct design, for years I have dedicated myself to exercise this work with commitment and responsibility, this has added very enriching professional experiences in the area of design, projects and installation of air conditioning. I take my assigned tasks with a lot of professionalism, that's why every day I make an extra effort to improve myself, achieve the objectives and challenges raised in the work and personal environment. Commercial and Residential Air Conditioning Installation, Service, repair, Maintenance, and more. Services Include: - Coil Cleaning - Duct Cleaning - Leaks - Assessment of A/C unit - Thermostat Repairs - Dryer Vent Cleaning - Coolant-Gas Financing is available for Air Conditioning Units. Save up to %50 on your electrical bill, by switching to a energy efficient Air Conditioner. 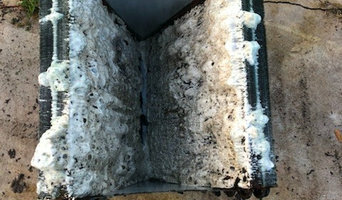 We can fix any air conditioning problem you may have. Financing available for brand new energy efficient units. Save money by changing your old and inefficient A/C unit to a brand new energy efficient unit. Set up your appointments Call, Text or Email, any day, any time, 24/7. You have enough to worry about let us, solve your A/C problems. Deaco Air is Florida's Leader in Air Conditioning and HVAC, working on both residential and commercial projects since 1987. We not only guarantee exceptional quality but exceptional service. We are committed to you, our customers, by providing a professional and friendly experience. Our staff at Deaco Air is experienced and reliable and you can count on us even in an emergency. Big or small, our team will get back you in due haste for anything you may need. Dr. Hvac Inc is a hvac contractor / air conditioner service serving the Boca Raton, FL area. Services include HVAC, Commercial HVAC, Residential HVAC, AC Repair, Central Air, Duct Cleaning, Duct Work, Heating Systems, Ventilation Service, Emergency HVAC Service, Air Conditioning, Air Filter Systems, Thermostat Repair, Plumbing, Hot Water Heating, Generators, Insulation, Geothermal Heat Pump, AC Service, Air Heat Pump, Gas Furnace, Refrigerator Sales & Service, Indoor Air Quality, Furnace Service / Maintenance, Electrical, Boiler Repair, Tankless Water Heater, Radiant Heating, Appliance Repair and Steam Heating Systems. For more than 20 years, Cousin’s Air has been proudly serving customers throughout Palm Beach and Broward Counties with honest, reliable AC services. From repair to replacement to routine maintenance, they’re well-equipped to handle every South Florida AC service you need. All of their technicians are NATE-certified, and the family-owned and operated company has been honored with Carrier’s President’s Award, amongst other recognition. They are completely committed to your total comfort, offering professional, reliable, and responsive assistance when you need it most. Plus, they strive to make your service as simple as possible with flat rate pricing and a number of financing options for new equipment installation. When you need AC services in South Florida, Cousin’s Air is the name to remember. Not only do they offer superior workmanship, they’re also dedicated to providing unparalleled customer service. Their team is available to assist you 24/7 for those AC emergencies that just can’t wait. Whether you need duct cleaning, AC installation for new construction, replacement of your outdated air conditioner unit, or are interested in improving your indoor air quality, Cousin’s Air is ready to help! Get in touch with them today to schedule your AC service in South Florida! We have been serving South Florida customers for over 25 years, and are recognized for the high quality integrity of our work. Our extensive Client List includes: Stiles Construction,Weston Hills Country Club, Marriott Beach Place, the Hampton Inn, the Posnack Jewish Community Center, Century Village of Pembroke Pines, Memorial Hospital West Rehab & Fitness Center, Hollybrook, Scarborough,Vacation Villages and many more. For commercial or residential properties we offer free estimates and fair pricing, with all work guaranteed. We are Licensed and insured. Summer's Heating & Cooling is a hvac contractor / air conditioner service serving the Boca Raton, FL area since 2000. Services include HVAC, AC Repair, AC Service, Central Air, Heating Systems, Ventilation Service, Residential HVAC, Commercial HVAC, Emergency HVAC Service, Air Conditioning, Air Filter Systems, Duct Work, Duct Cleaning, Thermostat Repair and Geothermal Heat Pump. At home, Australians use, on average, 40 per cent of energy on heating and cooling, so it’s wise to seek expert advice from a HVAC contractor in Miami, FL on the most economical systems and models for your home. Your climate, the type of model you use and where you position it, for instance, will make a big different to your home’s comfort and how much energy you use. A HVAC contractor can also advise you on the best reverse cycle air conditioners, heat pumps, hydronic central heating and gas heating. Should you or anyone in your family suffer from allergies, they are also knowledgeable of the best anti-allergen filters and will be able to change your air conditioner’s filters, clean ducts or remove any debris around units. Other areas of expertise include refrigeration work, pool heating and dehumidification. Find heating and air conditioning contractors on Houzz. Look in the Professionals section of our website and search for Miami, FL Heating and Air Conditioning contractors. Read reviews and see how a HVAC contractor might approach your Miami, FL home’s heating and cooling challenges.